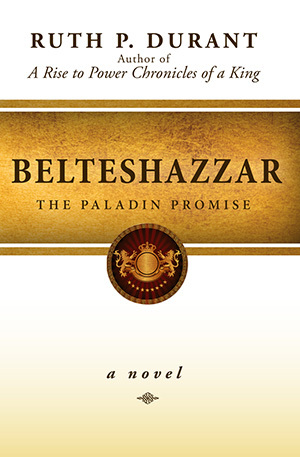 Liberty University Press released, “Belteshazzar-The Paladin Promise," a historical fiction novel for adults. This work combines history from the Bible and research from six secular historians to accurately portray the culture and events from the first through the ninth century. Both biblical and non-biblical relationships with God are captured within the text and the ability to retain personal faith in the midst of complete opposition is a central theme. The main character, Polemus, is a young Greek magistrate in Athens, who beginning in 384 B.C., searches for the meaning and source of life in a culture characterized by idol worship. The King’s Hebrew servant, Belteshazzar, a man of courage, wisdom, and the ability to interpret dreams, alters Polemus’ journey drastically. Challenged by Belteshazzar’s unwavering belief in an unfamiliar God, Polemus struggles to choose which direction his life should go. Should he abandon his current lifestyle to start a new life or continue down what seems to be a destructive path regardless of the consequences? Biblical themes of faith, endurance, and honor are represented in the storyline, while renewed and newfound faith is also explored. Ruth Durant draws inspiration from her world travels, especially from trips to the Holy Land, and has aimed to re-create an experience of third century Greece for the readers. She is a graduate of Harvard Graduate School of Design and an award-winning novelist. As a graphic illustrator and editor, she has produced a wide range of publications .She currently lives in the Caribbean with her husband and daughters.